Pedro Noguera is one of America’s most important voices on education reform and diversity and an advocate for a strong and vibrant public education system. Noguera is a professor at the Steinhardt School of Education at New York University, a co-director of the Institute for The Study of Globalization and Education in Metropolitan Settings, and the Director of the Metropolitan Center for Urban Education. As one of America’s leading urban sociologists, Noguera pursues research that focuses on the ways in which schools are influenced by social and economic conditions in the urban environment. A powerful speaker with a unique ability to connect with diverse audiences, he is an expert on topics such as urban school reform, youth violence, the potential impact of school choice and vouchers on urban public schools, conditions that promote student achievement, and race and ethnic relations in American society. A prolific writer and editor, Noguera has just released three new books: Unfinished Business: Closing the Racial Achievement Gap in Our Schools; The Color of Success: Race And High-achieving Urban Youth; and Beyond Resistance: Youth Activism and Community Change: New Democratic Possibilities for Practice and Policy for America’s Youth. Noguera is also the author of the groundbreaking book City Schools and the American Dream: Reclaiming The Promise of Public Education. He has also published over one hundred research articles, monographs and research reports, and his work has appeared in several major research journals, many of which are available online at inmotionmagazine.com. 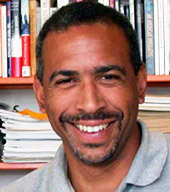 Noguera has served as an advisor and engaged in collaborative research with several large urban school districts throughout the United States. 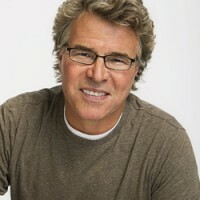 He has also served as a member of the US Public Health Service Centers for Disease Control Taskforce on Youth Violence, the Chair of the Committee on Ethics in Research and Human Rights for the American Educational Research Association, and on numerous advisory boards to local and national education and youth organizations. Thoughtful, provocative and always on the cutting edge, Noguera is poised to make great changes in the American educational landscape. Pedro Noguera presents a dynamic and profound perspective on the issues of racial inequality and diversity in our schools. One of America’s leading experts on education reform, he takes your audience through the challenges faced by schools and students trying to create a safe, secure, and academically rewarding environment. Noguera tackles problems such as race relations within schools, school violence, desegregation, and school vouchers. He demonstrates the problems America faces in providing equal opportunity in education, and provides some of the solutions that are working across America. Described as a “very charismatic speaker of great oratorical gifts,” Professor Noguera possesses the rare ability to translate social theory into concise, hip language with emotional impact. He inevitably captures both the minds and the hearts of his listeners.